I’m not losing my marbles! I know that last month was a floral theme for 10 for $10, but it also inspired this month’s collection of gardening gift ideas for those with a green thumb and $10 or less to spare (not including taxes and shipping). Plants can be fickle creatures – too much or too little water and they’ll rebel. 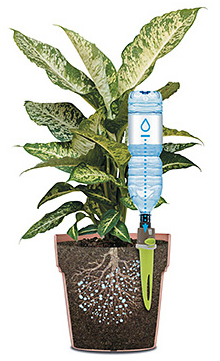 This versatile drip spike ensures plants get an adequate amount of water for up to two weeks by attaching any ol’ water bottle. A must-have for travelers in particular! 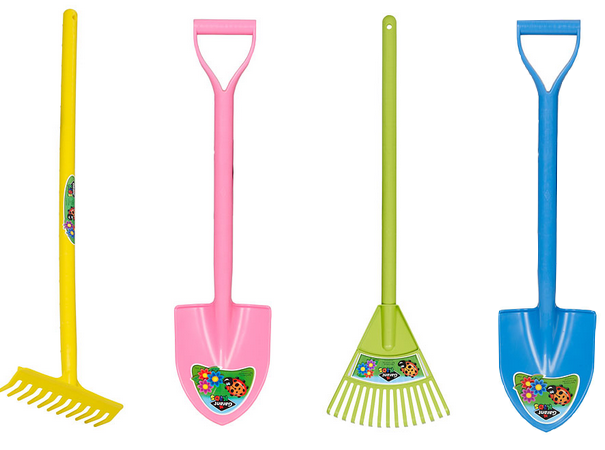 Inspire a future generation of gardeners with these adorable, pint-sized tools. It’s a great way to get the little ones involved and outdoors. Admittedly a bit of a hybrid chef / garden gift, but any gardener that’s into planting their own herbs will appreciate the ingenuity of this herb stripper. Simply insert a leafy herb – like rosemary or thyme – and save precious minutes in the kitchen by quickly skewering your favourite fresh herb leaves. The one downside to gardening is sometimes it can be quite a grind – especially on the knees and back. Take a load off with these washable, transportable knee cushions to soften the blow. If you’re heavy into composting dead leaves, food waste and grass clippings, then this awesome product is for you. It transforms your waste into garden-ready soil in a mere 20-40 days using natural nutrients and enzymes. 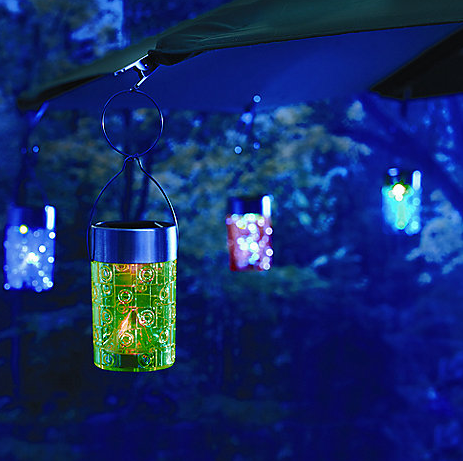 Enjoy the beauty of your garden at night with this pretty, no-power clip lights. Simply hang them off the edge of your patio umbrella, let them charge during the night, and bask in their glow come twilight. Bring the outdoors inside with these simple, elegant, modern tube vases. Screw them into the wall and pop in a few fresh blooms for an earthy, vibrant piece of wall art. 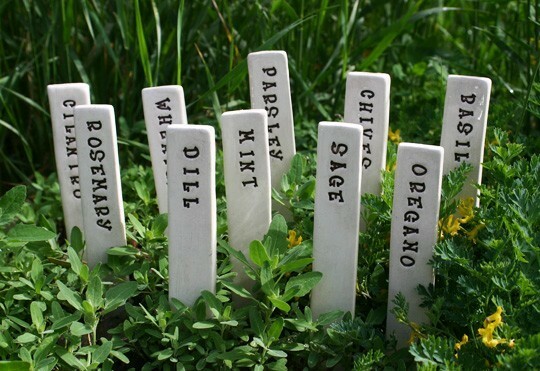 Keep tabs on what’s flourishing and what needs some extra TLC in your garden with these pretty, handcrafted clay markers. These markers are made with your choice of descriptors so you don’t have to worry about the weather rubbing away any handwritten identifiers. If the gardener in your life also works a dreary desk job, they’ll love flexing their green thumb at work with this cute kit, containing everything you need to grow a tiny bonsai tree at your desk. It’s also available in a few other varieties, if you’re keen on starting a mini forest in the office. After you’re done cleaning the dirt out from under your fingernails, nourish hands with this protective, ultra-softening lotion designed to restore your mitts to their natural marvelousness. There you have it! 10 great gifts for any gardener in your life. 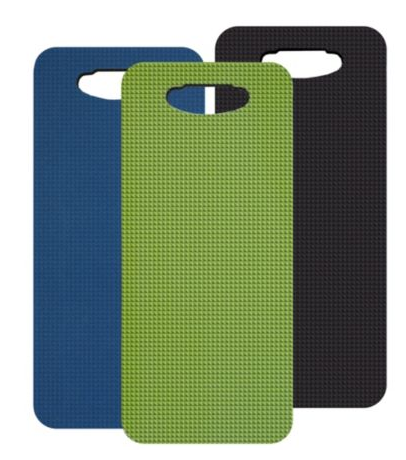 Speaking of fresh gift ideas, want to nab an extra extra bonus entry into my Abeego giveaway? Just tell me in the comments below – what’s your fave gift idea featured in this post? Who would you gift it to? That herb striper is one I’d like to try. I love the bonzai kit! I’d pick the Solar Umbrella clip lights for my son who is an avid gardener. Find of the Month: Abeego bonus entry: my fave gift idea featured in this post is the Adjustable Flow Drip Spike – From $7.95 @ Lee Valley & I would gift it to my traveling friends who say they can’t grow plants. Now they can! Solar Umbrella clip lights ! 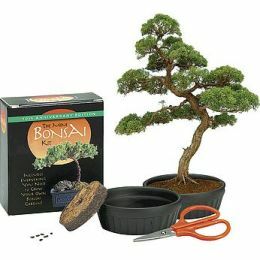 I love the mini Bonsai kit – I would give it to… myself! The garden knee cushions are SO necessary. I love the Herb or Vegetable Plant Markers . These would last from year to year. I would gift them to my neighbor for looking after my house when I go away, and for sharing her bounty. 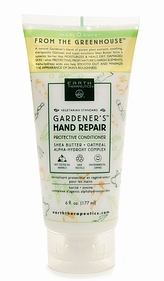 I would love to try the hand cream after working in the garden – thank you! I really like the Mini Bonzai Kit. The adjustable flow drip spike would be great for vacation time for friends who travel south. My favourite are the solar clip lights. I would gift the adjustable flow drip spike to my mom. She definitely has a green thumb (unlike my brown thumb). Solar clip lights for my husband’s new gazebo. Love the solar clip lights. Perfect hostess present for those summer parties. 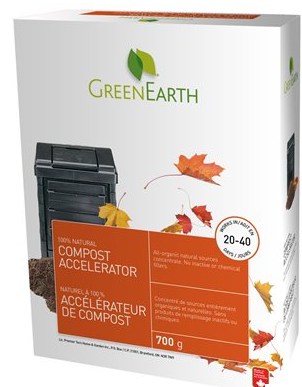 Love the Green Earth Compost Accelerator – I would like to get my compost working a little faster. 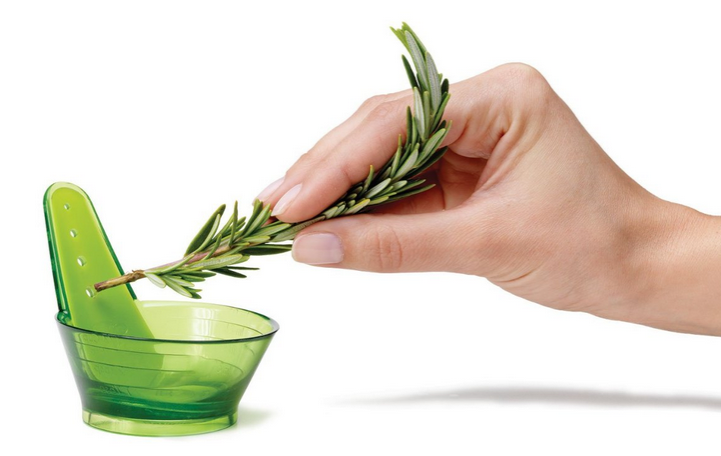 I’d love the Chef’n Zipstrip Herb Stripper for myself! My favourites are the Solar Umbrella Clip Lights. I like the Green Earth Compost Accelerator for my parents.